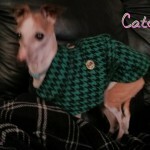 A Senior Italian Greyhound Owner Surrender named Catdog is now in the care at ROMP and looking for her forever family! 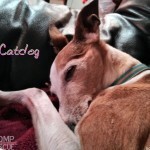 Catdog was surrendered to ROMP at the age of 14 (through no fault of her own) and is looking for a loving forever family with whom she can enjoy her golden years. She is crate trained and potty trained (yippee) as long as she goes out every few hours, doesn’t mind baths or getting her nails trimmed and has a very happy wiggly-waggly tail. 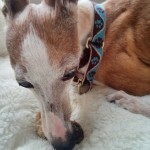 She is in great shape for her age and although it is hard to tell, she does have some hearing and vision loss. 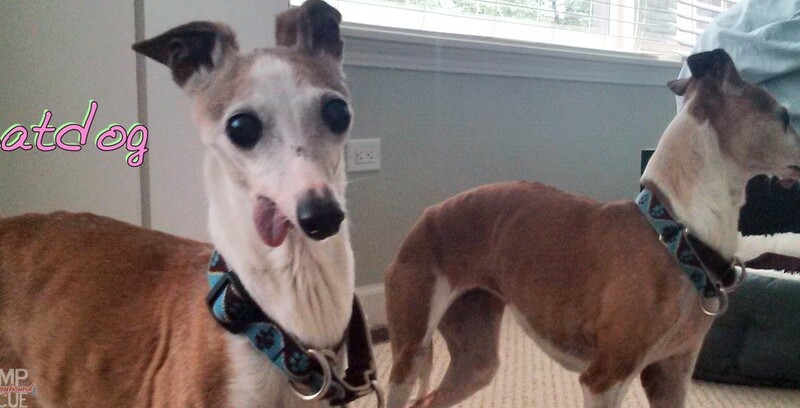 Catdog lost all her teeth and now her cute little tongue hangs out as she struts about but her lack of pearly whites does not hinder her appetite or the type of food she eats (or bones she enjoys chewing). This little lady climbs stairs, jumps on couches and beds, is drawn to whomever has food, loves to curl up next to you to be petted, and prefers to sleep in bed with you under the covers. 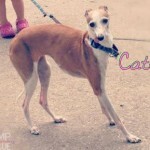 Catdog gets along great with other dogs her size, is indifferent to cats, and would love to have a canine buddy to look up to. 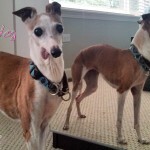 She would best be suited for a family with a fenced yard and without young children that is looking for a charming little canine companion with whom they can enjoy the finer things in life. 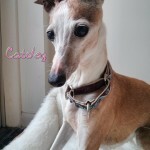 This entry was posted in ALL and tagged adopt, adopted, adoption, adult, catdog, chicago, female, italian greyhound, rescue, save, senior, senior italian greyhound, shelter. Bookmark the permalink.